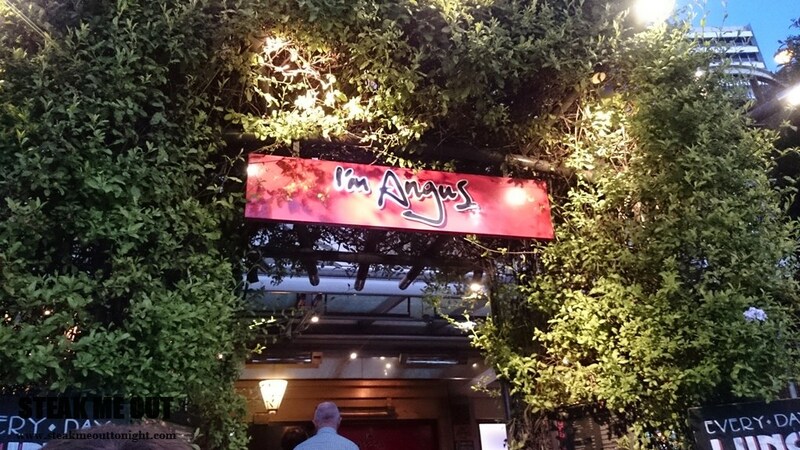 I’m Angus has been a steak and rib institution in Sydney since I was 11; I can remember the taste and the anticipation of receiving the meal. It’s been about 8 years since I last went to I’m Angus but it’s still fond in my memory. I went back trying to stave off my previous experiences and expectations. The place has had a remodel, it’s much more urban with obnoxious red and black thrown around everywhere, but it didn’t bother me too much, I was there for 2 reasons and 2 reasons only: steak and ribs. I was dining with a friend, and we decided that we’d each get a steak and share a full rack of pork ribs. I got the Angus reserve 350g scotch, done medium rare with truffle butter. It was served with slow roasted onions and mash. As for the ribs, I asked they be extra charred and basted to avoid it coming out prematurely. 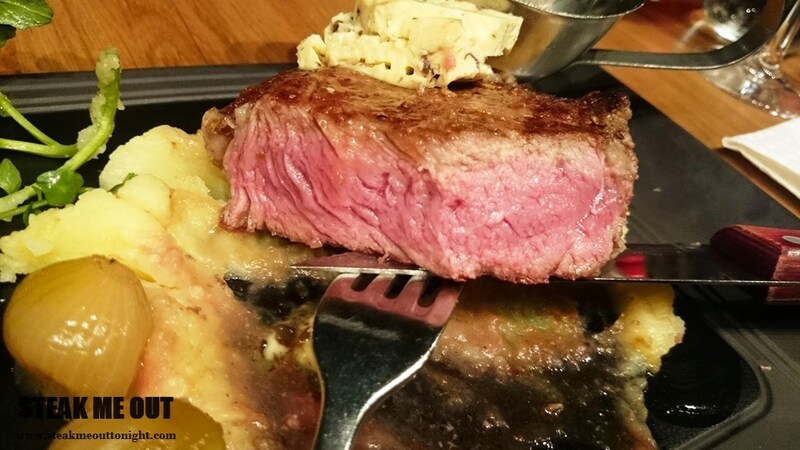 My friend went with an Eye fillet 160g cooked medium. It was a busy Saturday night and you could tell they didn’t have enough people on the floor and the service was lacking slightly. It took about 45 minutes for our food to arrive, the steaks first. My steak came out looking great, perhaps a little visually under charred being its only flaw. I took a bite and it was juicy, tender and salted, the truffle butter definitely had massive hits of truffle but the quality of the butter was something to be revered. The beef quality itself was average and nothing to get excited over, but it was as tender as a scotch should be. Cooking was good but not great, it got to a medium with thicker points being medium rare. The ribs came out half way through the steak and looked good. 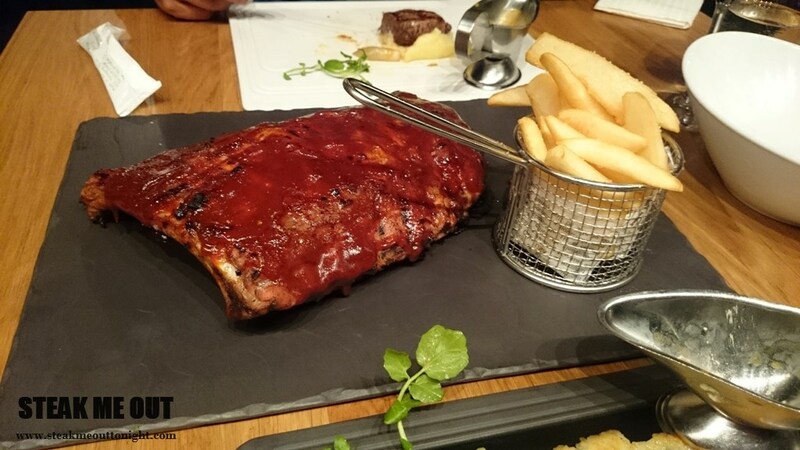 The flavour of the ribs was fantastic, and sauce almost identical to what I remembered. The actual pork however was slightly dry, maybe an hour too long on the pre-cook, and the serving size of a “full rack” was definitely underwhelming. Now a local, I know I’ll be back for the ribs, but the steak? Probably not. 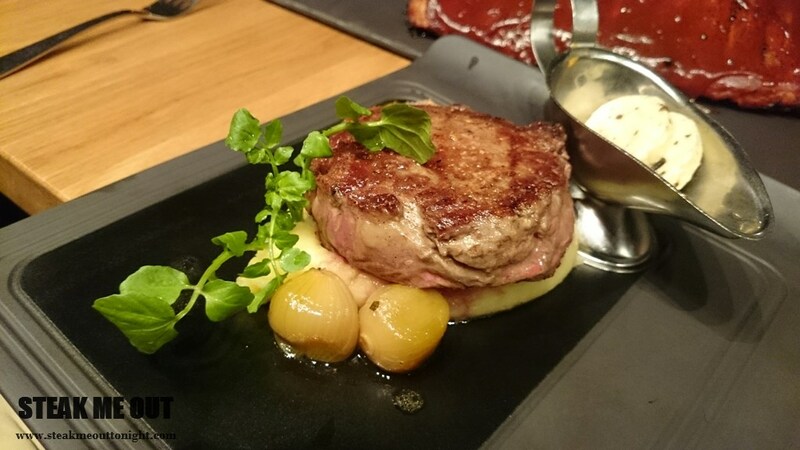 Posted on June 10, 2015 June 11, 2015 by AdrielPosted in Ribs, Steak, SydneyTagged Ribs, Scotch Fillet, Steaks, Sydney.